Home › Conquer It All with Threadripper™! Now Available at AVADirect. Compose music. Orchestrate fleets. Introducing RyzenTM ThreadripperTM, the most advanced consumer processor, available now. Conquer design and gaming with up to 16 cores and 32 threads, 40 MB of cache, 64 PCIE lanes in every processor and fully unlocked multipliers for overclocking control. 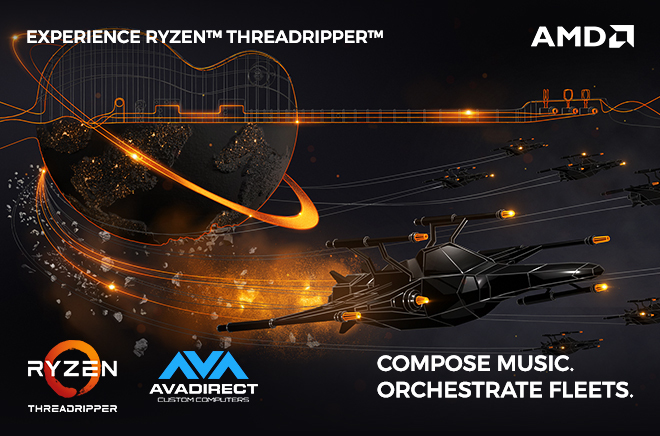 Build your ThreadripperTM powered system now with AVADirect.